The comparatively small and weak goblin is ill-suited to use as a soldier, unless you have a need of many cheap, expendable troops. 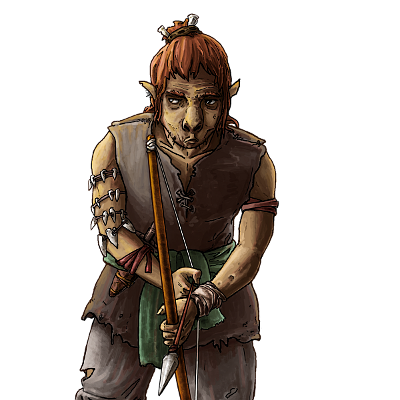 The southern orcs make better use of their goblin brethren by equipping them with bows instead of spears, and using them in the same role as the slightly larger and stronger orcish archer. This is a duty the sly and sneaky goblins can fulfil quite well, and they take great delight in sending volleys of fire-arrows at foes they’d be very reluctant to face in a fairer contest. Special Notes: In woodlands, this unit’s ambush skill renders it invisible to enemies unless it is immediately adjacent or has revealed itself by attacking. The victims of this unit’s poison will continually take damage until they can be cured in town or by a unit which cures. Last updated on Sat Apr 20 01:52:21 2019.